What was supposed to be an opportunity to talk about his new album, ended badly for the R&B singer. Chris Brown lost his temper in front of cameras and dozens of people, during “Good Morning America” show. On Tuesday morning he was invited there for an interview and he was expecting to be questioned about his new album called F.A.M.E. When the television host Robin Roberts started to ask him questions about his 2009 felony assault case involving his ex-girlfriend Rihanna he was visibly disturbed. He tried to avoid the subject, by saying that for him it doesn’t matter what happened two years ago: “It’s not really a big deal to me now, as far as that situation, and I think today’s the album day, that’s what I’m focused on.” he said. But his interviewer continued to stick on that subject. Apparently her insistence made him go crazy. After he performed one of his songs, Chris Brown totally lost his control. He went into his dressing room and there he started to scream and he ripped off his shirt. Next, he shattered a window, by throwing with a chair in it and then left the studio in a very angry mood, without wearing his t-shirt. Brown was supposed to have a second performance during the show, but it seems that he was too furious to even care about it. Considering the past events that involved Rihanna, it’s clear that the singer has a serious problem with his anger management. After the 2009 incident he was forced to follow a domestic violence program which lasted a year. In December, he completed this program, but it seems that it wasn’t to helpful. Shortly after the “Good Morning America” incident Chris Brown updated his Tweeter account: “I’m so over people bringing this past s**t up!!! Yet we praise Charlie sheen and other celebs for there bulls**t.” The message was deleted a few minutes later. 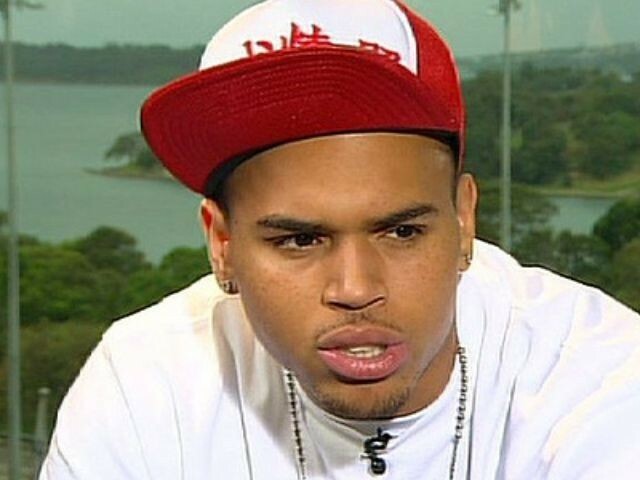 he had a right to get mad no one cares about Rhianna…..get real…i love yu cb forget the past! I don’t blame him for loosing his temper, they should have told hm they would be asking personal questions . Is he using some kind of drug? if not, he needs to go back to church, and get Jesus for real! He keep this up, it only going to get worse. A violent past should NEVER be forgotten. If he did it once, he’ll do it again, it just takes enough provocation as was demonstrated on GMA. This man is dangerous. Women, run away as fast as you can. He should have never lost his temper. He needs to get fur real. Is he stupid this is all going to get worse if he is going to keep on doing this. Chris Brown please someone help him to get treatment.